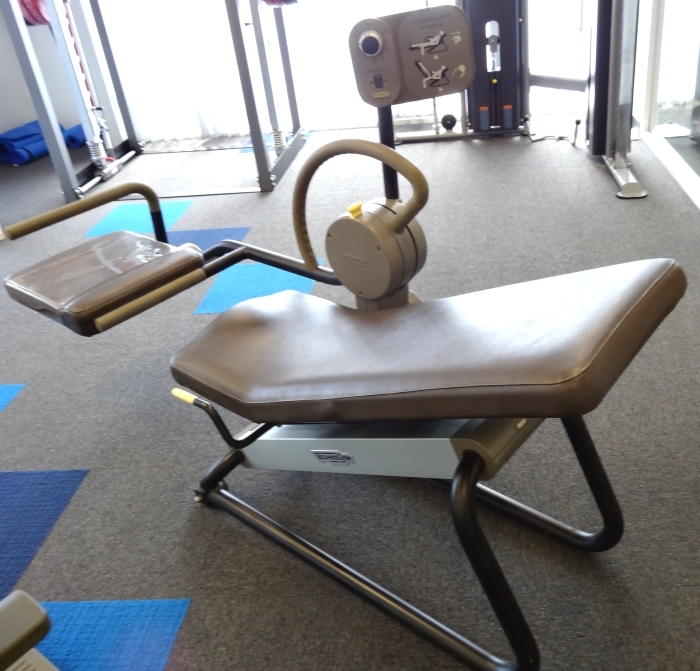 The machine enables a soft and progressive lengthening of all posterior chain muscles with variations on the level of engagement of the different muscles. Users who spend a considerable amount of time on their feet will benefit greatly from the raised-up legs position. The FLEXability line works on the main muscle groups, chiefly stretching the shorter ‘ring’ of the muscle chain in a simple and effortless way. Compared to traditional analytical stretching, which works on the main muscle groups, the FLEXability line maximises effectiveness by reducing the duration of the exercise and delivering excellent results at the same time. SAFETY BRAKE SYSTEM: Each machine is equipped with a brake system for total equipment stability in order that users can maintain the stretch position in complete safety and comfort. The brake system also enables the user to switch mode, progressing gradually from the static to the dynamic mode. BODYPRINT: The FLEXability line uses ‘Memory’ high density filling for back supports, seats and anterior rolling carts. This innovative new material guarantees maximum exercise comfort as the special filling moulds to the individual’s actual body shape. STRETCIING ANGLE REGULATION: The anterior machine rolling cart features three different stretching angles – at 0°, 20°, 45° – to expand the range of exercises and increase the lengthening of thigh muscles. comfortable and ergonomically correct position for their vertebral column. EASY TO MOVE: The FLEXability line is equipped with an integrated wheel system that makes it easy to move should you want to make space available for other activities. Buy Technogym Flexability Posterior online. If you are interested in the Technogym Flexability Posterior for sale, feel free to enquire above.